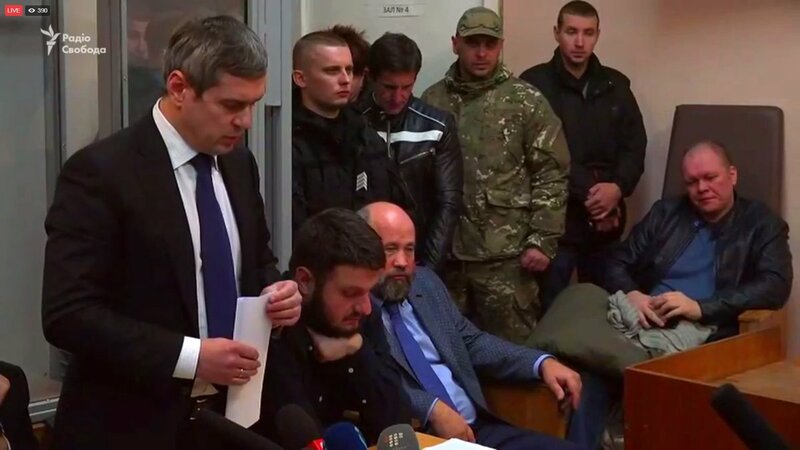 The trial over Oleksandr Avakov, the son of Minister of Internal Affairs Arsen Avakov, was underway at the Solomiansky district court of Kyiv today. The preventive measure for Avakov Jr is to stay under personal recognizance. He is also to wear an ankle monitor, hand in his passport, and see the investigators at first demand. It is worth noting that the prosecution demanded a 2-month detention with a possibility of $186.000 bail. Earlier Minister of Internal Affairs Arsen Avakov confirmed that the NABU holds the searches in the family of Avakov, particularly his son Oleksandr Avakov. The searches took place as part of the pretrial investigation of the purchase of the backpacks by the Internal Ministry in 2014-2015. Later it was reported that Oleksandr Avakov was detained. The NABU held the searches of the probably involved persons in the case of the supposed embezzlement of the state funds during the purchase of the backpacks for the National Guard by the Internal Ministry in 2014-2015. The Prosecutor’s General Office opened the criminal proceeding due to the purchase in July 2015. According to journalist Roman Bochkala, the ministry purchased the backpacks for the price of $111 per item and the total sum amounted to $539.800.